The Dorchester - 11963 223 Street, Maple Ridge, BC V2X 3J2, NWS3233 - located in West Central area of Maple Ridge, near the crossroads 223 Street and Dewdney Trunk Road. The Dorchester is only steps McIntosh Plaza, Curves, Scotiabank, Zellers, Memorial Peace Park, Maple Ridge Public Library, Haney Place Mall, Municipal Hall, Maple Ridge Arts Centre and Theatre, Starbucks Coffee, Save-on-Foods, London Drugs, REVS Maple Ridge, Epic Yoga and Fitness Centre. The restaurants in the neighbourhood are Red Robin Restaurants, Marina's Gelato, Soprano's Pizza, King's Kitchen, Mona Pizza, China Kitchen and Shinobi Japanese. The Dorchester is walking distance to Eric Langton Elementary School, St. Patrick's School, Reg Franklin Park, Harry Hooge Elementary School, Harry Hooge Park, Maple Ridge Secondary School, Merkley Park, Kin Park, Alouette Elementary school, Pioneer Park and Golden Ears Elementary School. The bus stops are near the complex and Port Haney Station is about 10-minute walk away. 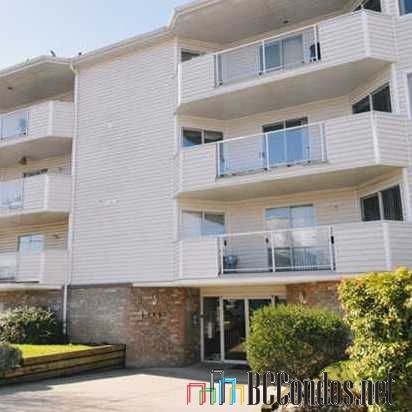 The residents of The Dorchester have easy access to Lougheed Hwy and Golden Ears Bridge. The Dorchester was built in 1990 with a frame-wood construction and vinyl exterior finishing. There are 30 units in development and in strata. This complex offers wheelchair access, an elevator, secure underground parking and in-suite laundry. Most homes feature spacious rooms, gas fireplaces and large balconies. Some homes have great mountains views.